A scabies outbreak in a nursing home has prompted action by Georgia lawmakers who are looking for ways to curtail future infestations. The death of Rebecca Zeni, 93, due to a scabies infection made national headlines and raised questions about how to prevent such tragedies from happening again. The Georgia Department of Public Health released a report on June 4 stating 35 residents, including Zeni, and staff were infected with scabies in the nursing home, according to 11alive.com. State Rep. Sharon Cooper (R), who chairs the Georgia House Health & Human Services Committee, met with the Cobb Elder Abuse Task Force and health officials, according to a report in the Marietta Daily Journal. “We’re trying to solve a problem and prevent future problems of the same kind,” Cooper said. In the case involving Zeni, the nursing home resident who lived in a Walker County facility died after an infection that appears to have gone on for months or even years, MDJ reported. The woman had millions of tiny mites inside her body, according to a forensic pathologist’s report. Her family filed a lawsuit alleging nursing home neglect. The Georgia Department of Public Health reported at least one recent case of scabies in an assisted living home based in Cobb County. 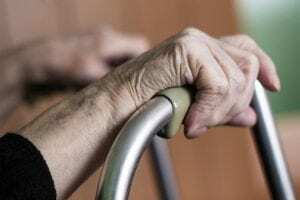 According to MDJ, a woman who lived in an assisted living home for three years contracted scabies about six months before her recent diagnosis. The daughter of the resident said doctors at the facility and an outside dermatologist were slow to diagnose the disease. The daughter, who is from Smyrna, took her mother to a dermatologist who believed a rash she experienced as an allergic reaction, not a case of scabies. Another dermatologist examined the woman and made a proper diagnosis of scabies. She then received appropriate medications and began to show signs of improvement. She’s expected to make a full recovery, according to MDJ. While relieved that her mother was on the mend, the daughter expressed frustration over the doctors’ failure to initially diagnose the disease. She told MDJ she believes the government should have more oversight over nursing homes, requiring staff to report to the appropriate government agency when an outbreak of a communicable disease occurs. Fortunately, these cases may lead to important reforms. Currently, the public health department does not have to visit facilities after finding out about an outbreak. However, that may change. Rep. Cooper said lawmakers may change regulations or laws related to reporting problems in nursing homes or assisted living facilities. Recently, Gov. Nathan Deal (R) signed bills that would strengthen background checks for people in charge of caring for seniors as well as provide harsher punishment for people who steal money from an elder under their care, according to MDJ. Government action is a step in the right direction when it comes to protecting our most vulnerable citizens. But sometimes seniors are harmed through neglect or abuse even when strong laws are in place. If your loved one was harmed or died through nursing home abuse or neglect, contact an experienced and compassionate attorney. Contact the Law Offices of George S. Johnson today for a free consultation.